We found that you could get two to three eggs out of a piece of felt. Print the template and cut out the egg shape. Place it on the felt and trace around it with a pencil. 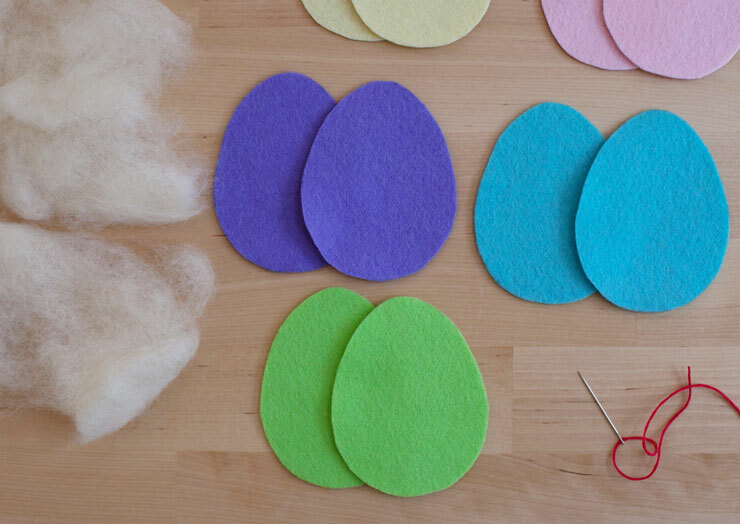 Then cut out the shapes—you’ll need two to make an egg. 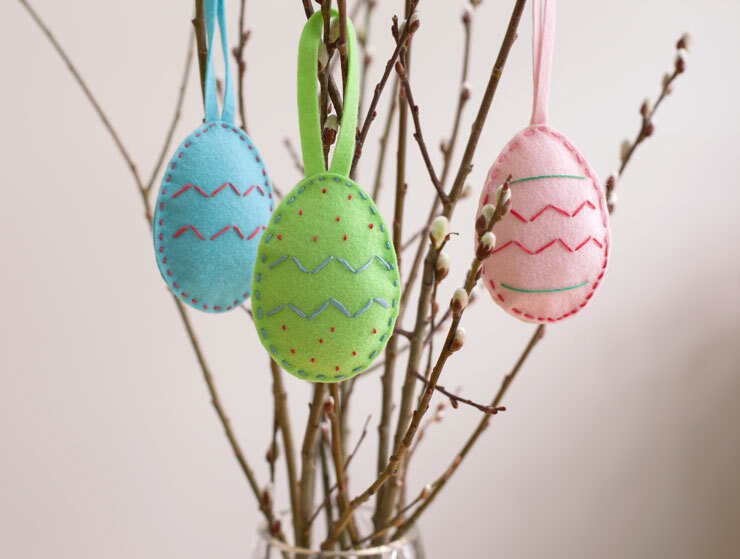 Decorate your egg! Running stitches make great stripes, long stitches are an easy way to do zig-zags, and short vertical stitches or small x’s can be polka dots. Have fun mixing up your colors and stitches! Place your eggs on top of each other, with the decorated side facing out. 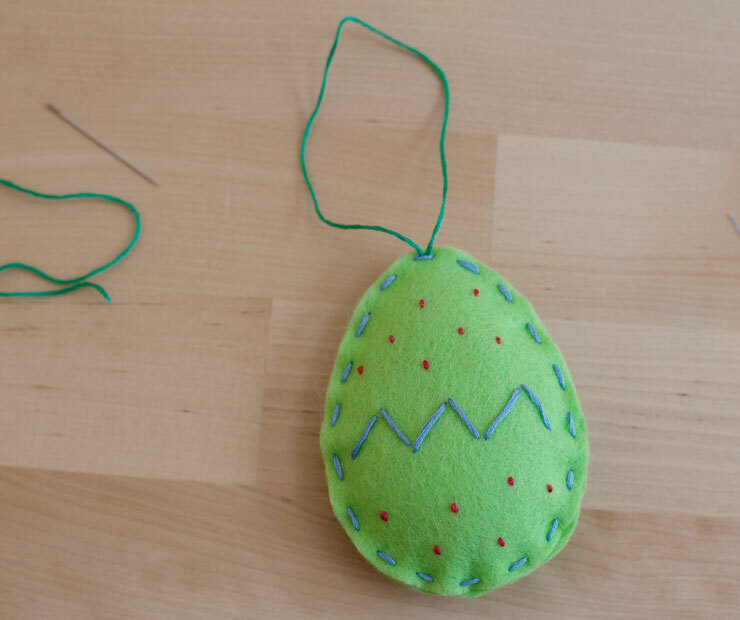 Using a simple running stitch, stitch around the egg near the edge, but don’t go all the way around. Stop when you’re about an inch and a half from where you started. 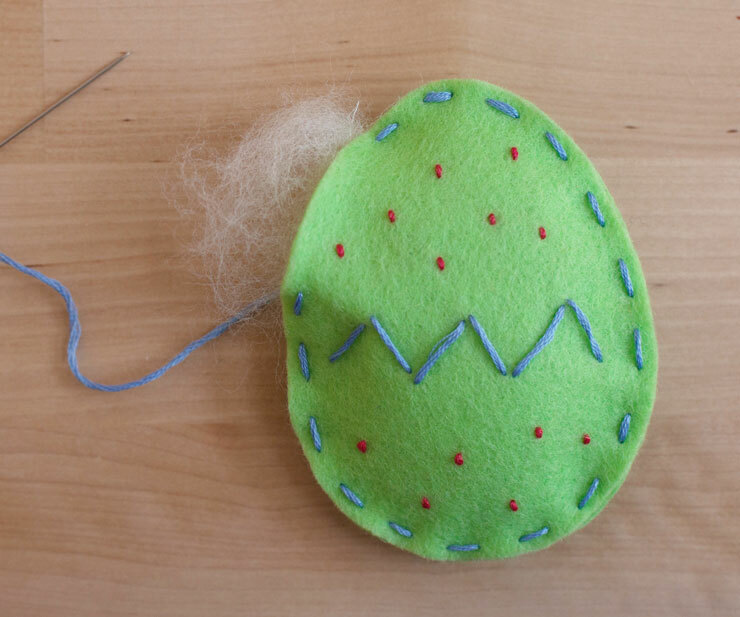 Stuff the egg with wool batting, then continue to sew the rest of the egg. 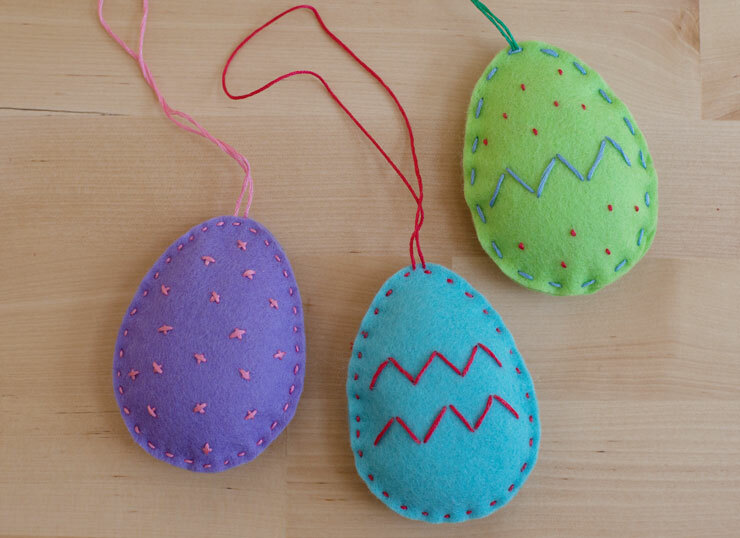 Sew a strip of felt or a piece of floss to the top of your egg, and hang it up! 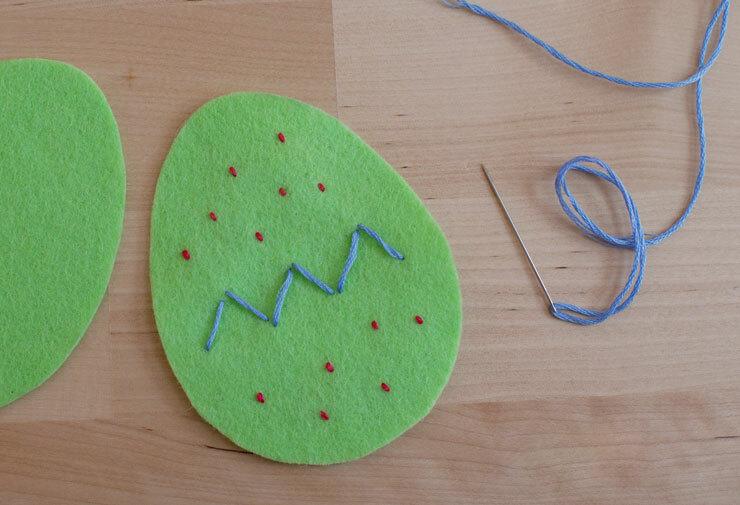 I found the Easter Eggs sewing kit but it said nothing about the floss or string to decorate & sew together.